Today’s post is a review of an eyebrow pencil I’ve been using for more than a year(when I’m not using Davis eyebrow pencil in 003). I found out about it an article Eni of GlambyIsoken did for Stylevitae about 2 years ago. I got it a while after and it’s been an eyebrow staple for me. Create natural, fuller, thicker and well defined brows. Available in shades that match your natural brow colour. The brow pencil comes in a slim black box and it is a normal pencil with a cap. I wish it had a spoolie on side and/or a sharpener. It would make filling my brows 1 product easier. 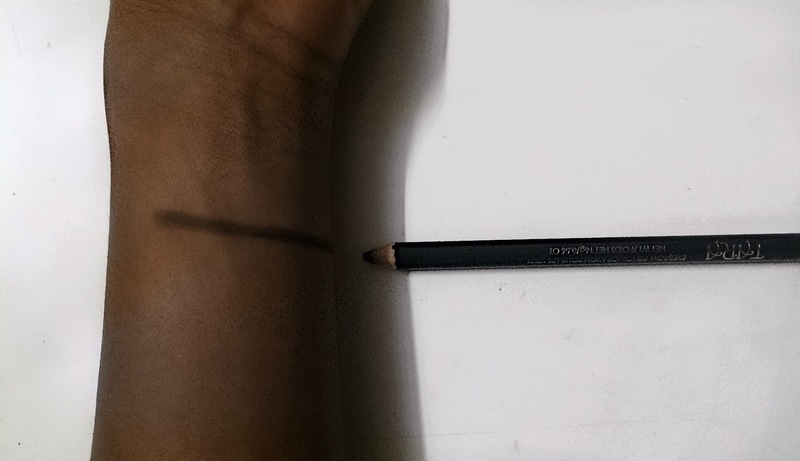 What I like about this pencil is that it creates hair- like strokes instead of coloring the brows starkly. It is also really soft and doesn’t scratch the skin. It is also long- lasting(I always like to set my brows with a brow gel these days though). It comes in 3 shades; Dark brown, brown and light brown. I think there should be 1 or 2 shades darker than dark brown. Dark brown is perfect for me but it would be too light for anyone darker me. Verdict: I really like this brow pencil. I wish it had darker shades though. It’s easy to use, affordable and creates lovely brows. It’s one of those products that are really good but you don’t hear a great deal about. Thumbs up to House of Tara!